You can select up 6 samples free of charge, any further samples requested will be charged at £4.00*. 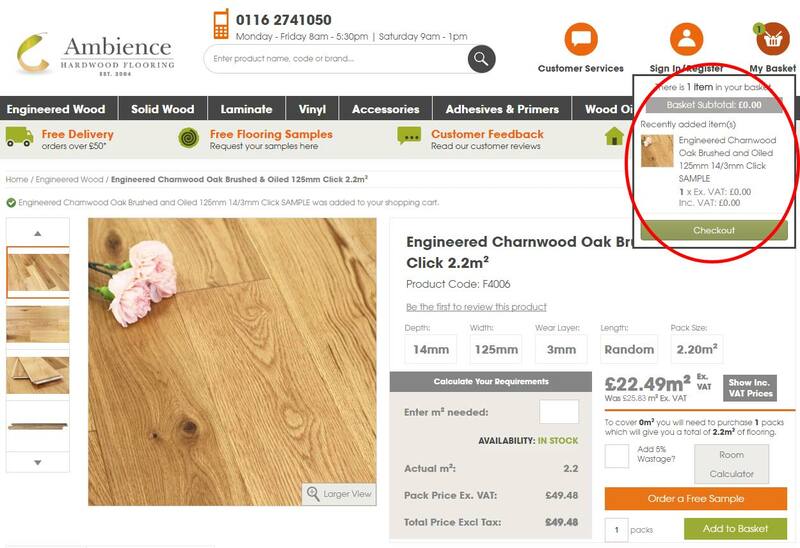 Navigate to the wood flooring you're interesting in, and click on the 'Add Sample' button above the 'Add to Basket' button. Your free sample will then be added to your basket. Simply check out in the usual way to receive your free samples via post. 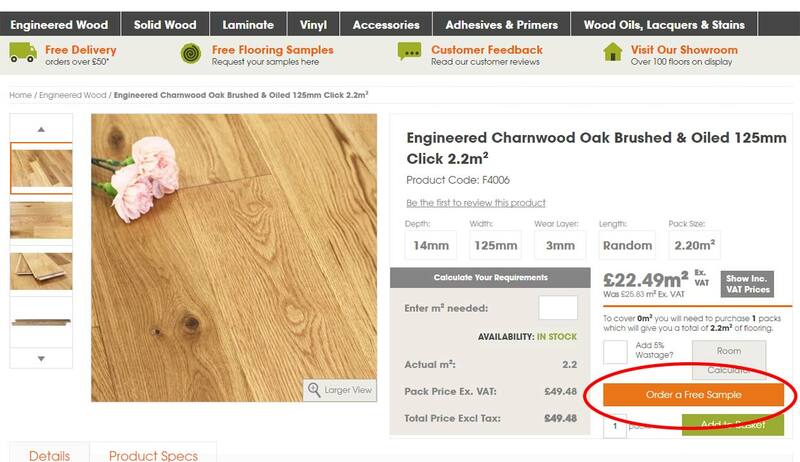 * A maximum of 15 flooring samples can be sent to one address at any one time.